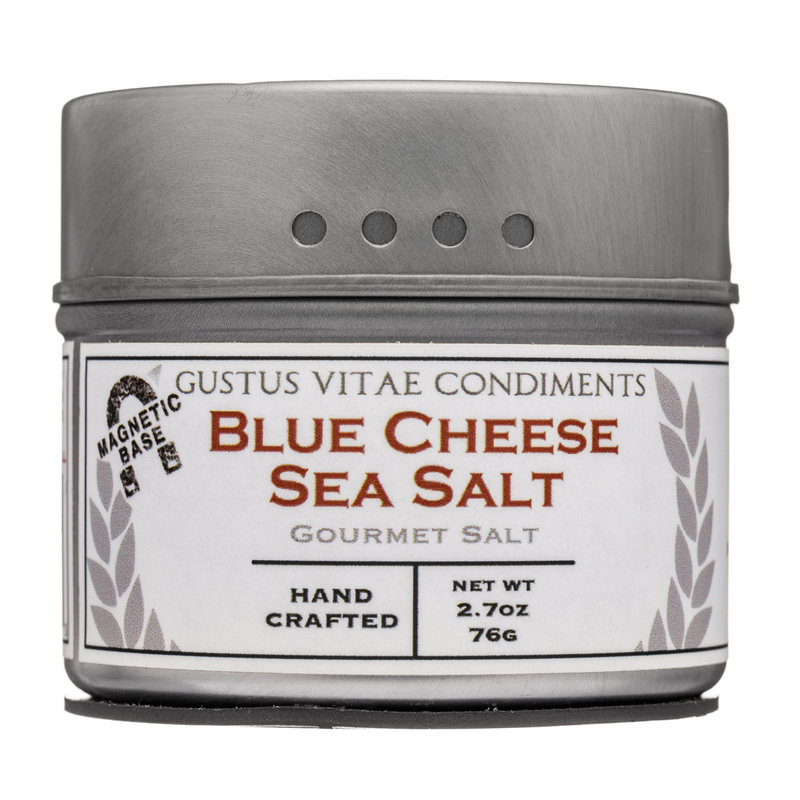 Gourmet Spices, Salts, and Fine Condiments. 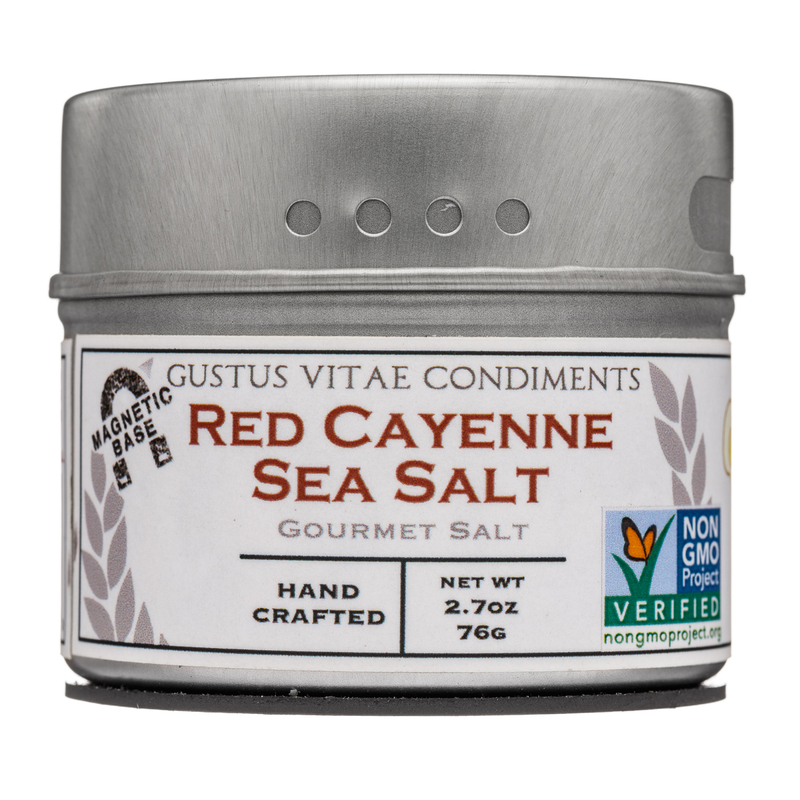 We make the best spices and gourmet salts on the market. 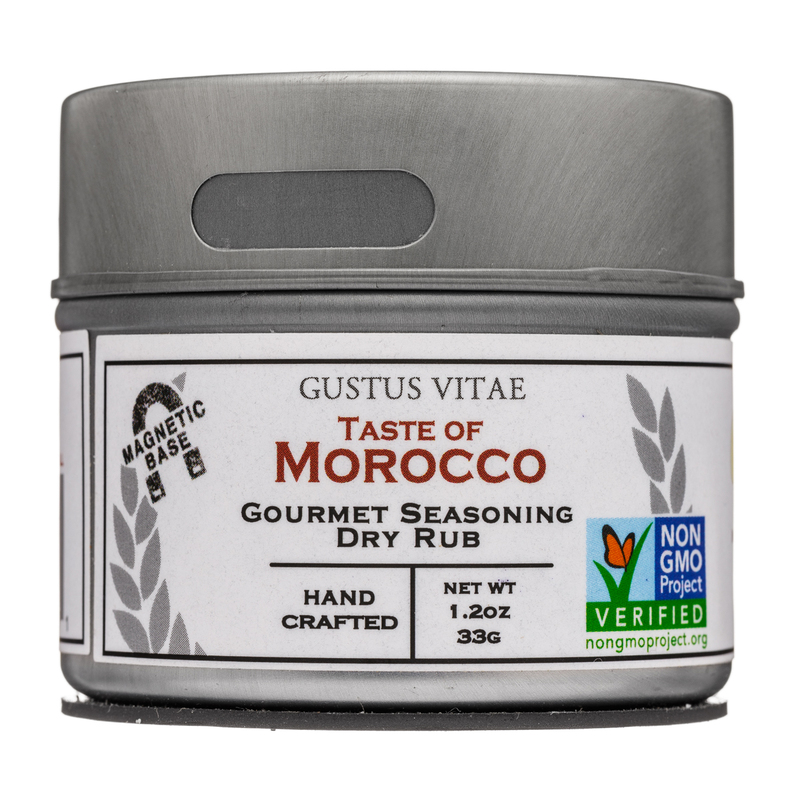 Our sourcing team seeks out both local and international ingredients, and only accepts the highest quality. 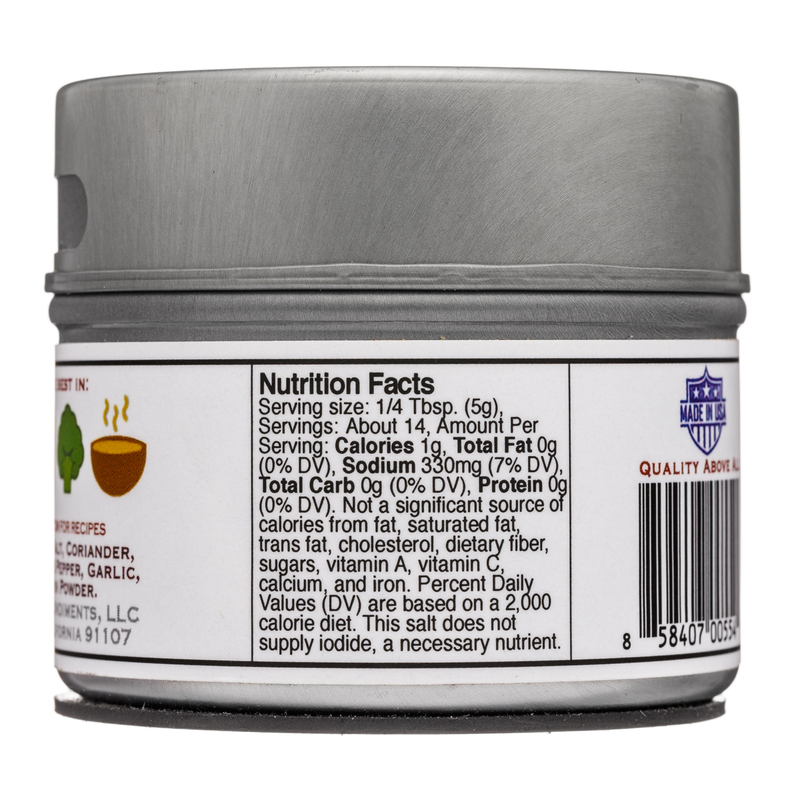 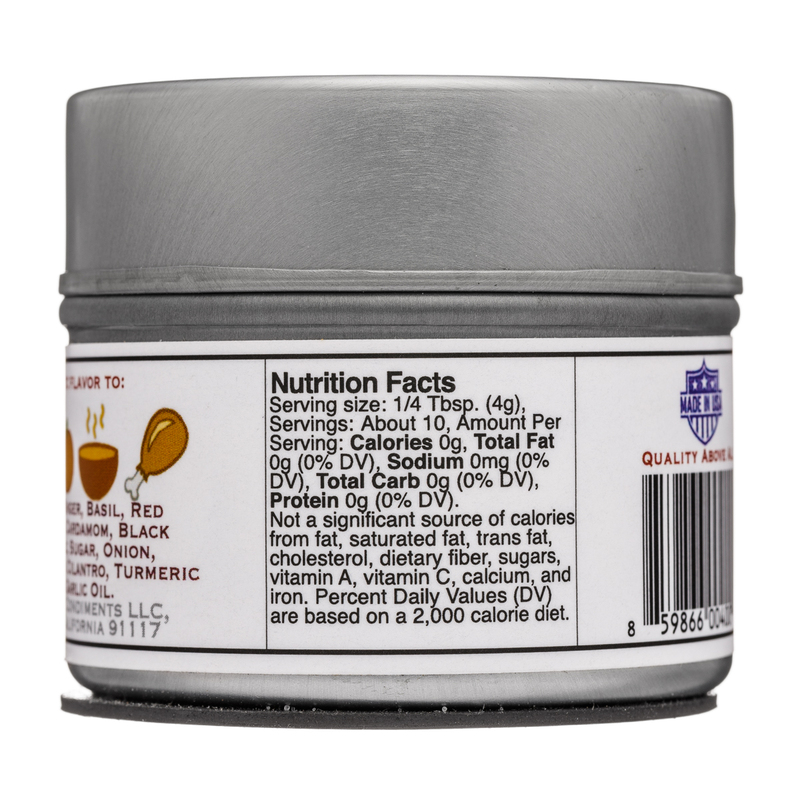 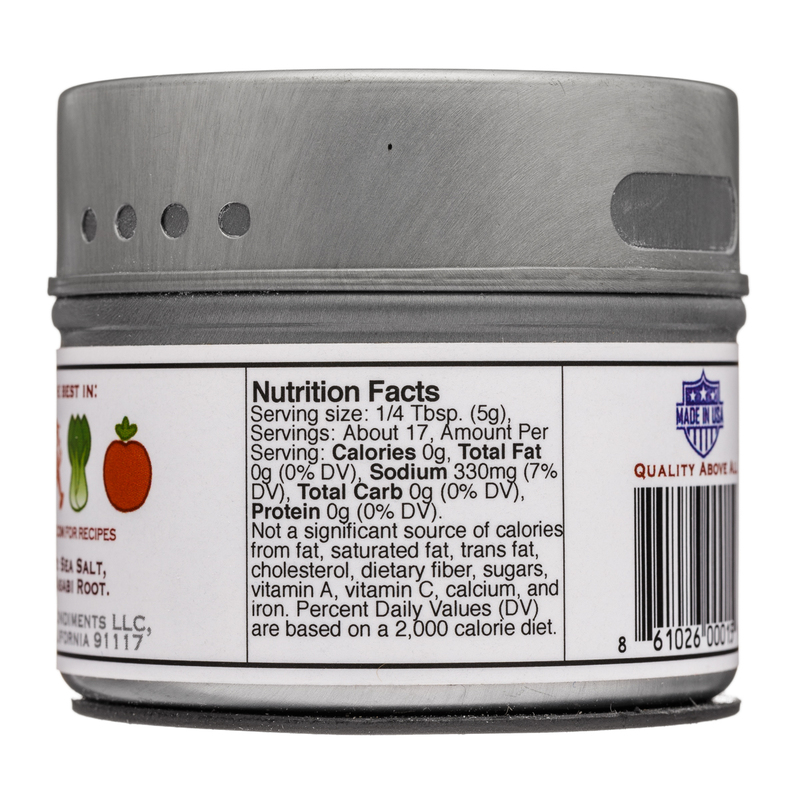 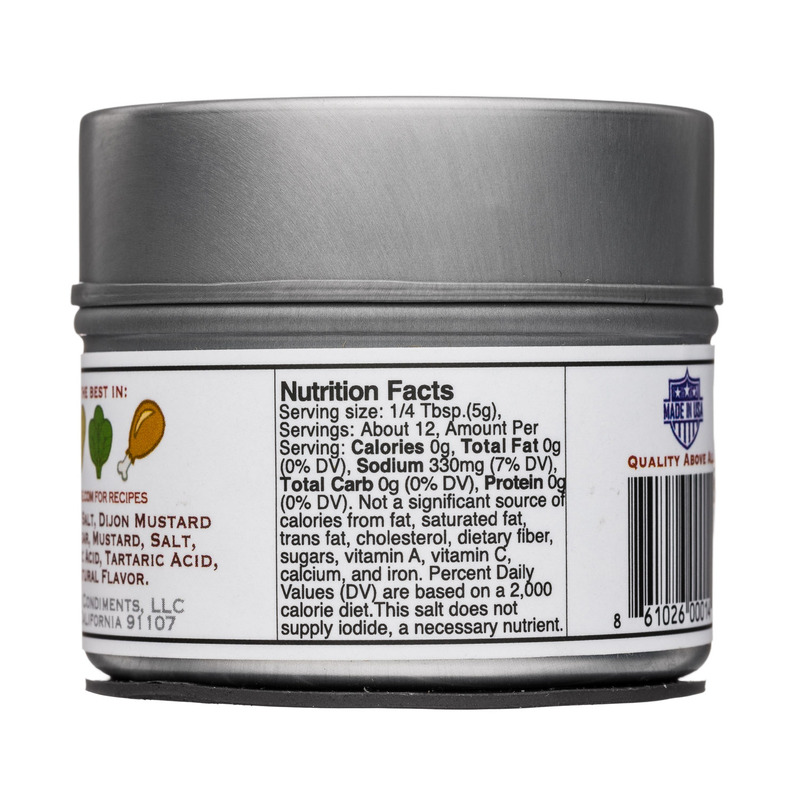 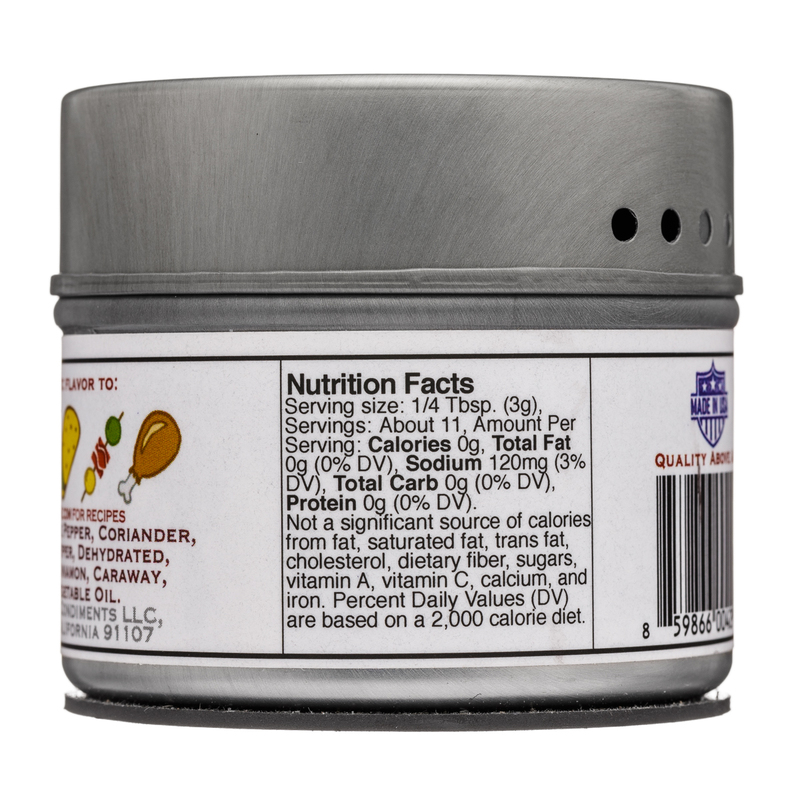 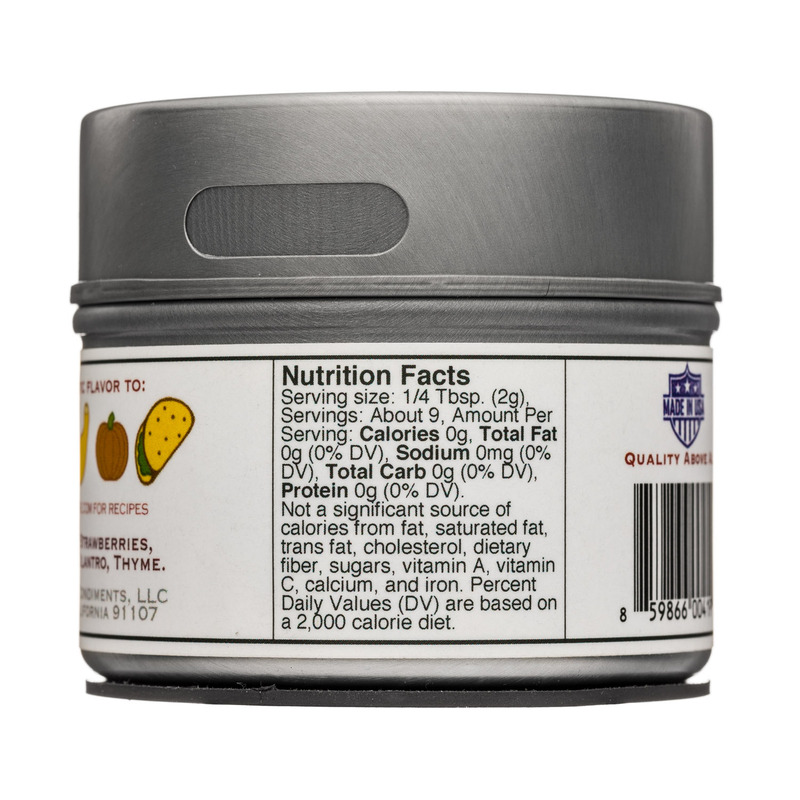 Every spice, salt, and condiment that we sell has been personally inspected for quality, before being individually packed in our unique magnetic tins utilized as shakers. 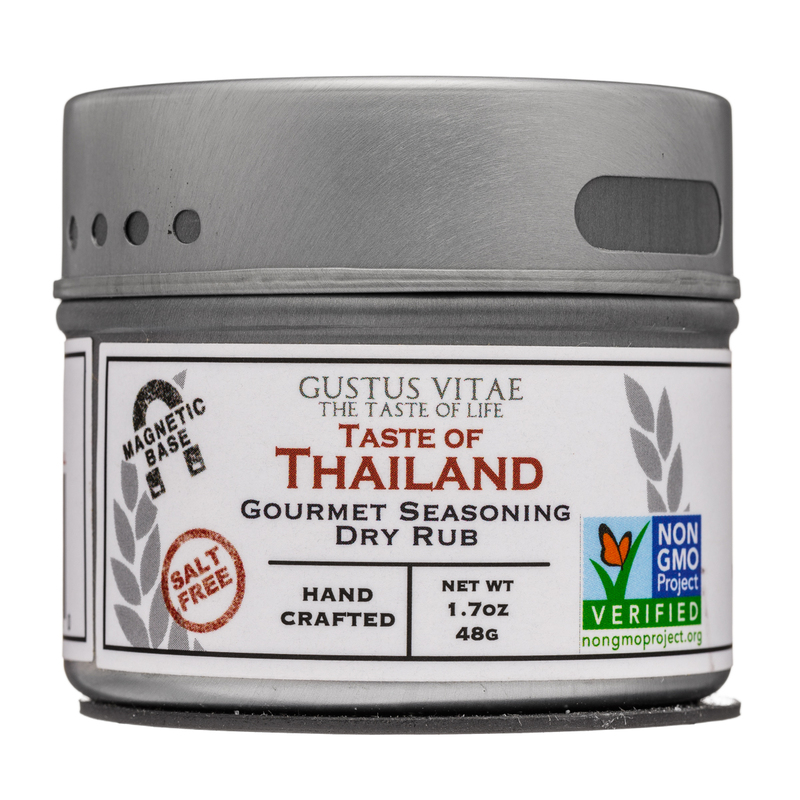 Unlike most spices and salts available today, our products are never irradiated, not treated with EtO (Ethylene Oxide) gas, are Non-GMO certified, and at no point are stored or coated with PLA (Polyactic Acid). 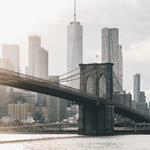 We believe in quality above all else. 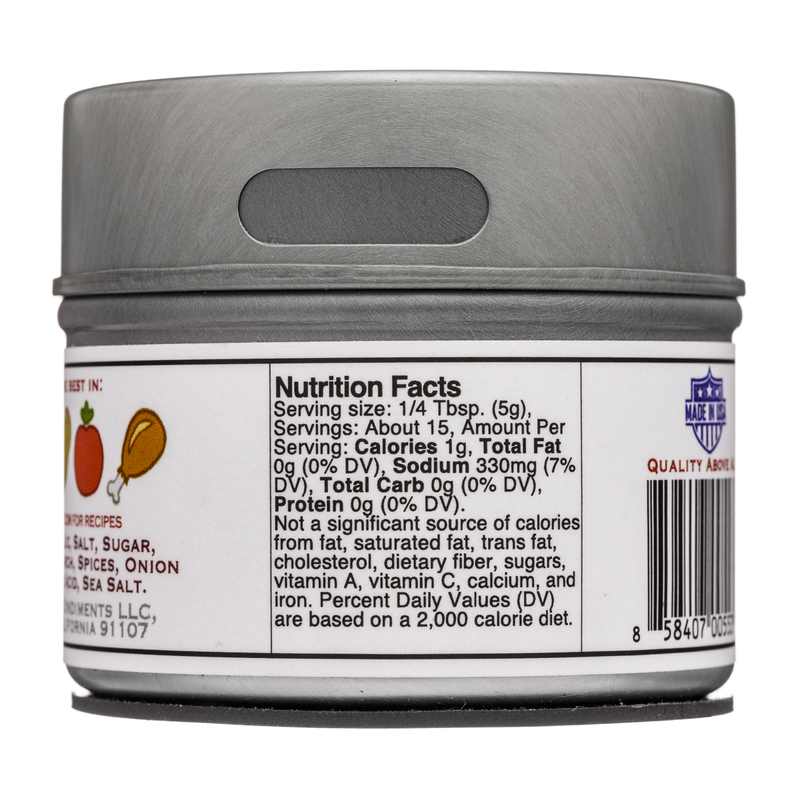 Interested in cooking but not too confident in the kitchen? 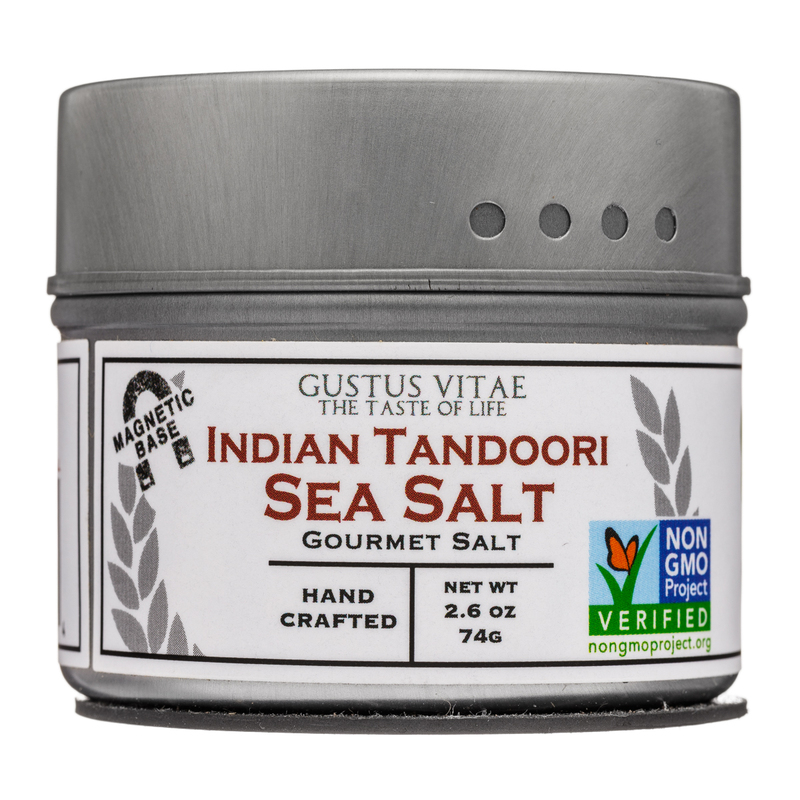 Looking to expand your culinary horizons? 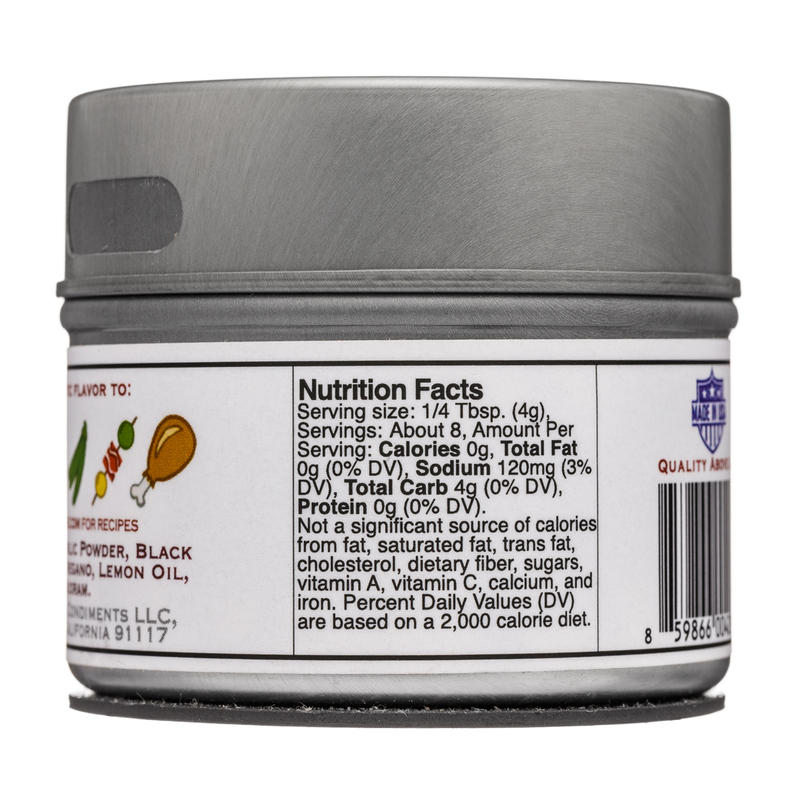 We like to share: checkout our recipe page on our website for ideas and inspiration for turning simple plates into signature dishes. 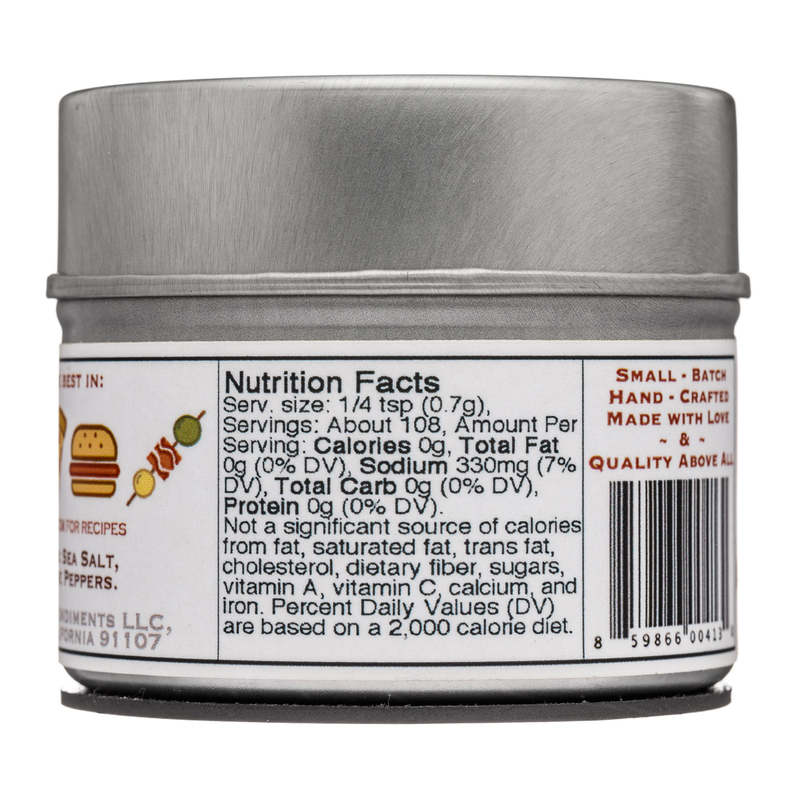 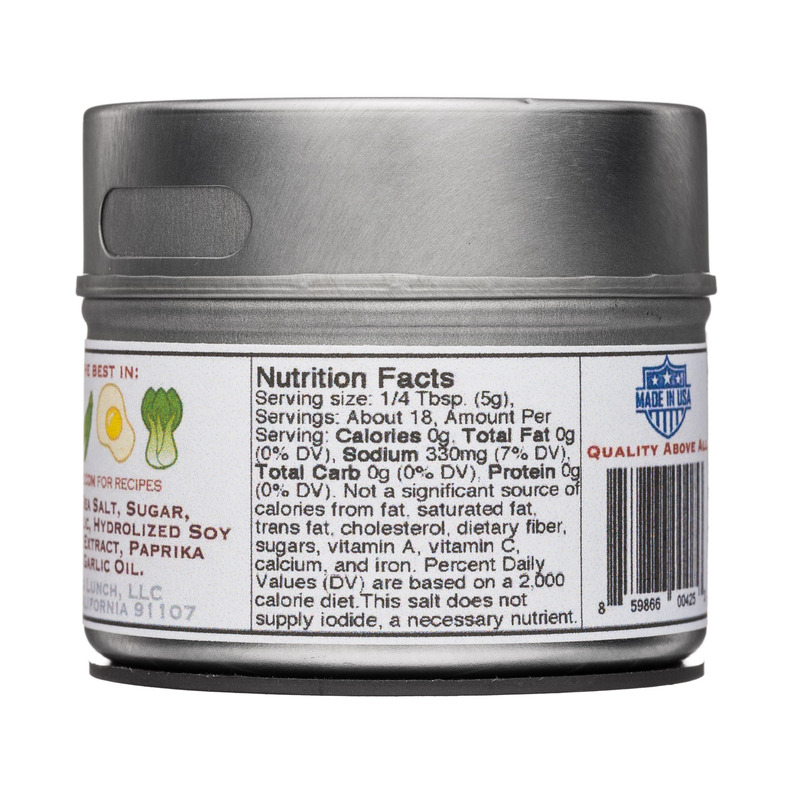 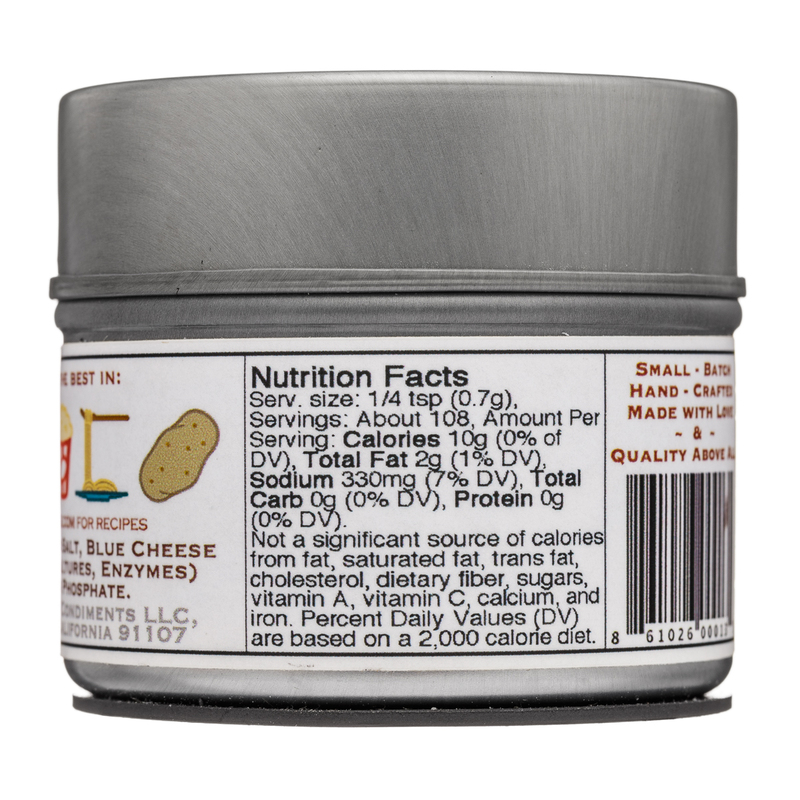 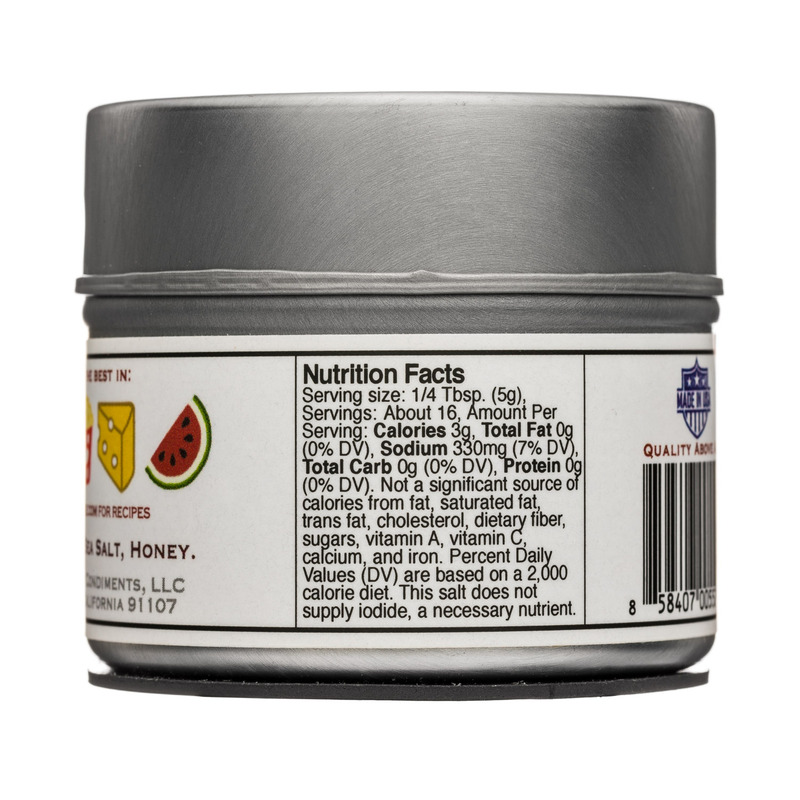 Made With Love In The USA - We use unique tins for our packaging, and print our labels on recycled paper. 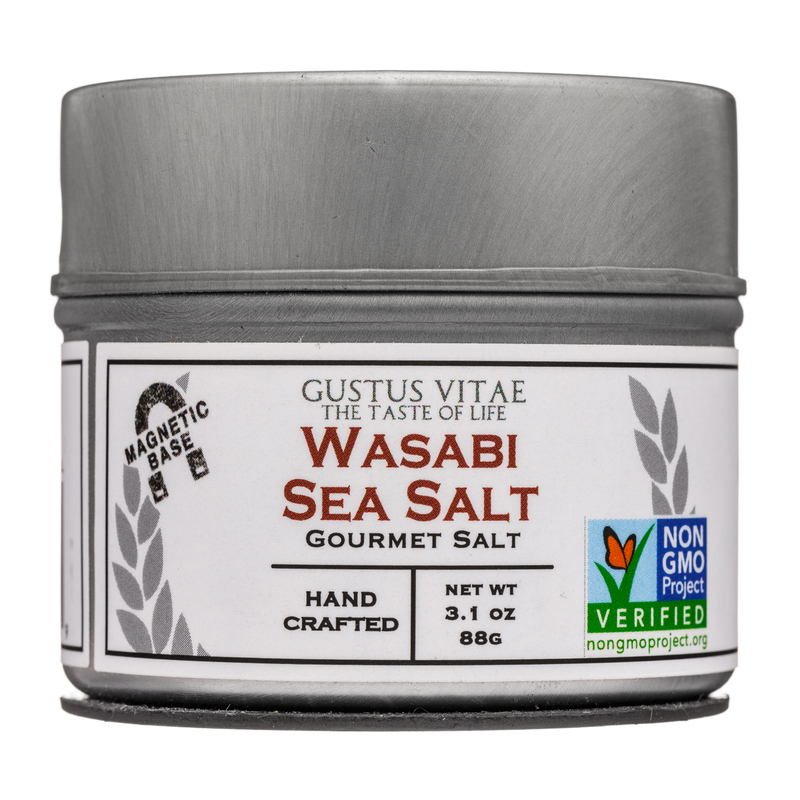 We are a conscious and sustainable company, are proud members of the Non-GMO project, and are active members of our local communities. 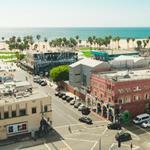 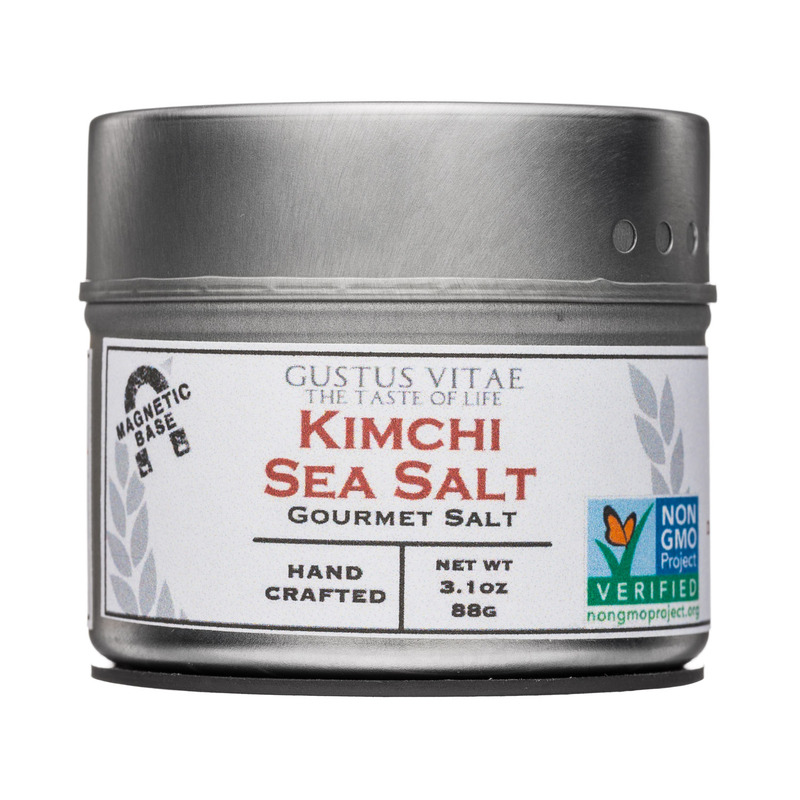 Frankie Scanlon, founder of Gustus Vitae, has announced the release of another unique, industry-first: Probiotic Ocean Salt. 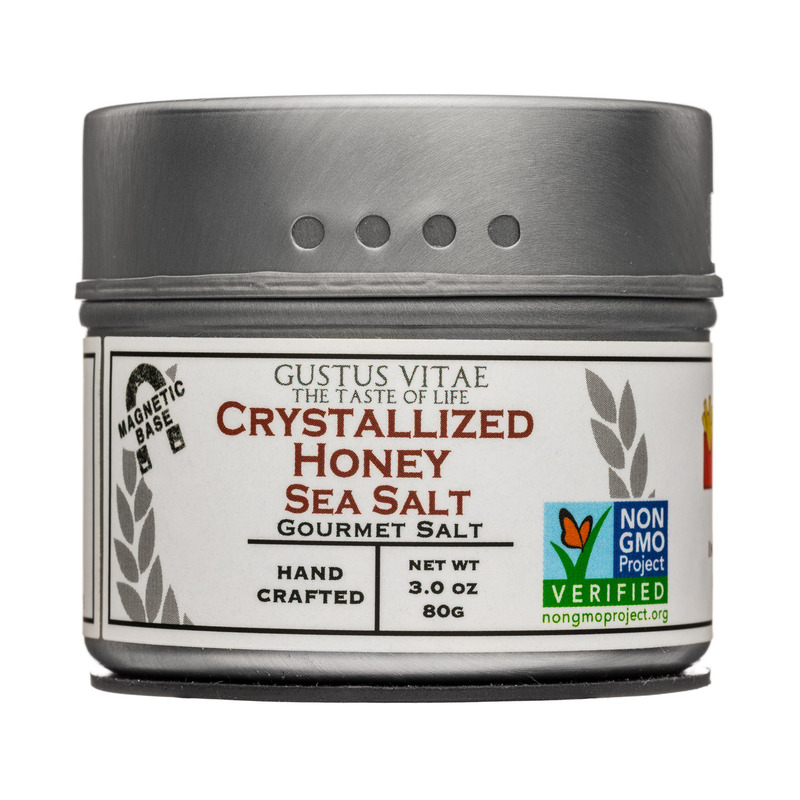 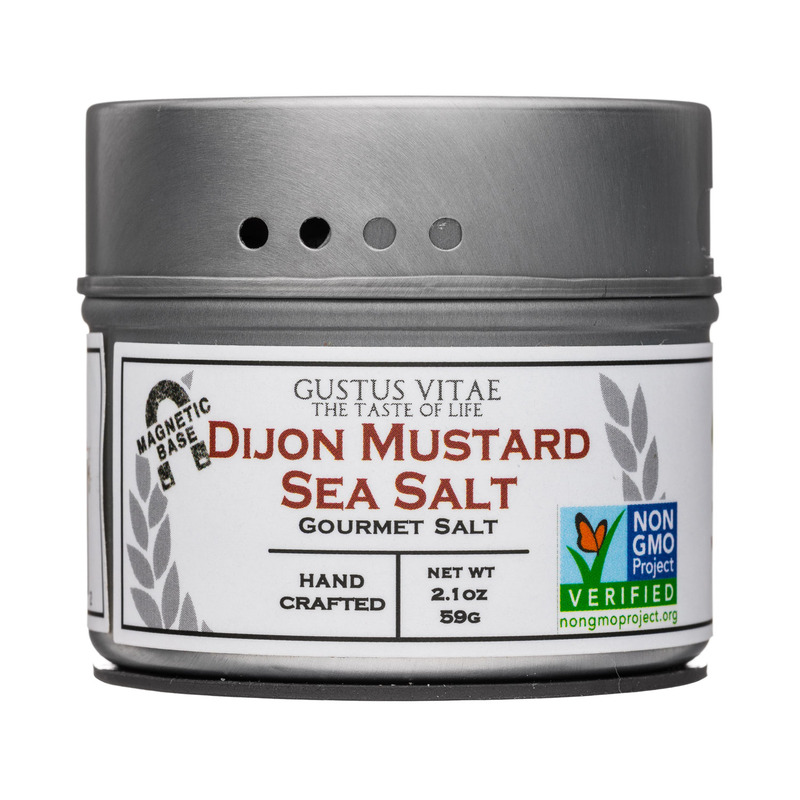 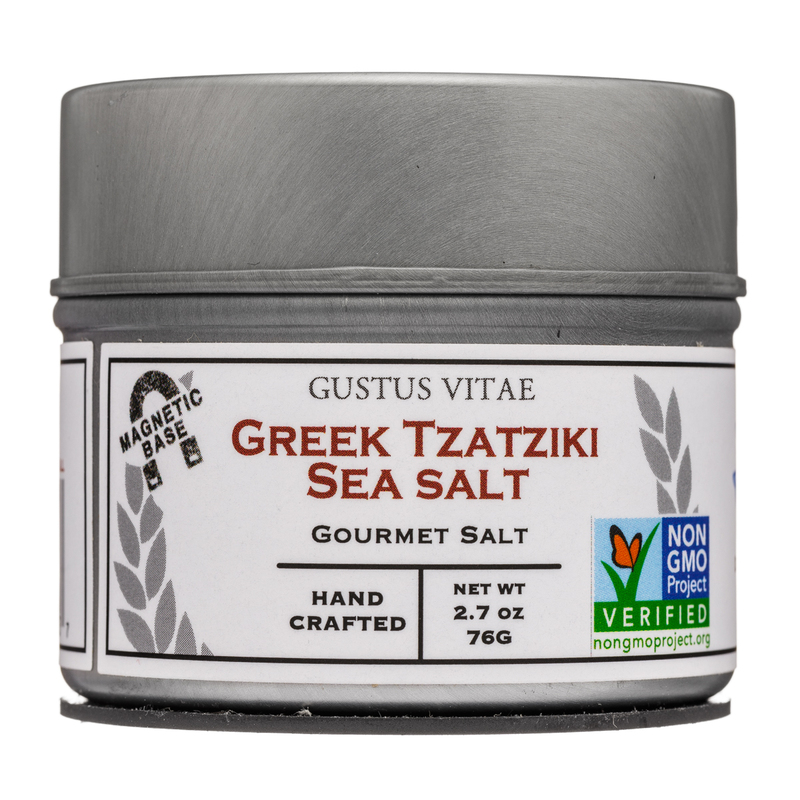 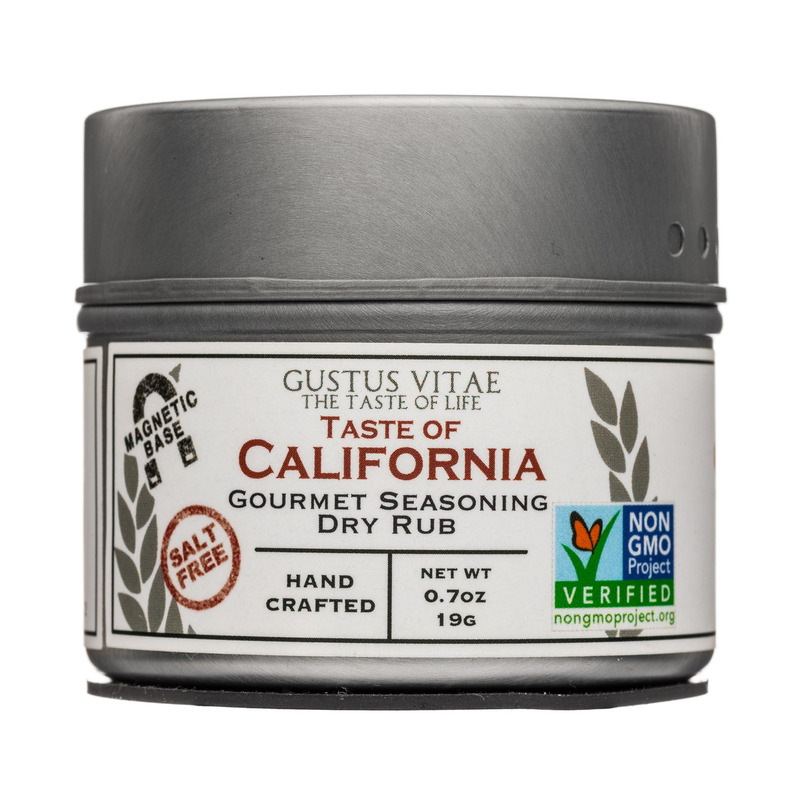 Gustus Vitae, has a history of innovations in the seasoning, salt and sugar categories.